One of the theories that has been proposed is something called reverse osmotic shift, or reverse urea effect. Essentially what that means is that once dialysis is initiated, removal of toxins (blood urea) leads to relative increase in the amount of water concentration in the blood. This water can then move into brain cells leading it to swell, causing something called cerebral edema. This swelling of the brain cells via this mechanism has been thought of as one of the possible reasons for the usual neurological problems associated with dialysis disequilibrium syndrome. Decreased pH of the brain cells. In layman terms, this would mean that the brain cells have a higher level of "acid". This has been proposed as another possible cause. Idiogenic osmoles produced in the brain (the details of numbers 2 and 3 are beyond the scope of this article). Fortunately, dialysis disequilibrium syndrome is a relatively rare entity and its incidence continues to drop. This has been thought to be due to the fact that patients are now initiated on dialysis at a much lower concentration of urea in the blood. Treatment is mostly symptomatic. Nausea and vomiting can be treated medically using medications like ondansetron. If seizures ever happen, the typical recommendation is to stop dialysis and initiate antiseizure medications. 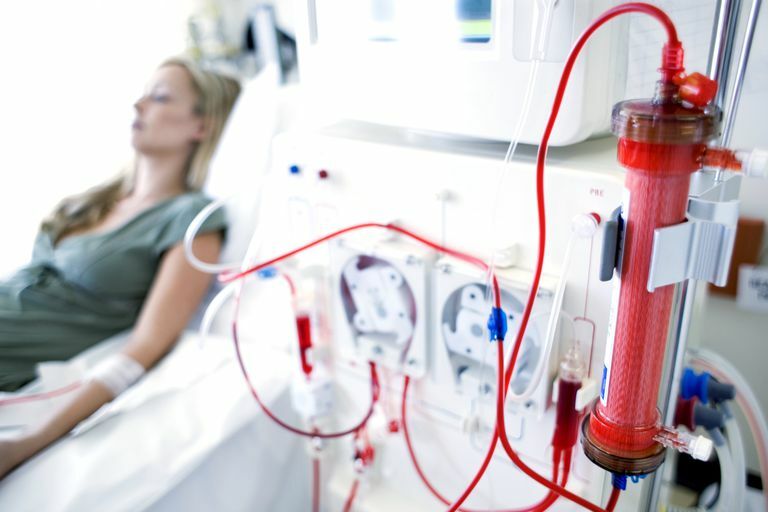 The intensity and the aggressiveness of dialysis might need to be reduced for future treatments. 145 Dialysis Disequilibrium Syndrome. The Royal Children's Hospital Melbourne. Dialysis Disequilibrium Syndrome Revisited. ishd.org. Zepeda-orozco D, Quigley R. Dialysis disequilibrium syndrome. Pediatr Nephrol. 2012;27(12):2205-11.